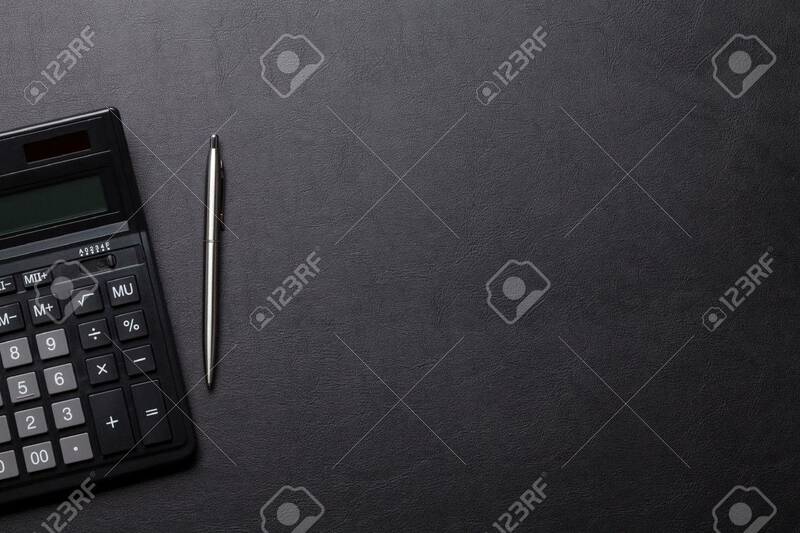 Office Leather Desk Table With Calculator And Pen. Top View With.. Stock Photo, Picture And Royalty Free Image. Image 65841837.